British Talent Cup racer Rory Skinner is set to make his British championship debut next month when he makes a wild-card appearance in the BSB Pirelli National Superstock 600 Championship on board a Kawasaki ZX-6R supplied by Kirkcaldy Kawasaki and supported by long term backers Bennetts and Tokheim. 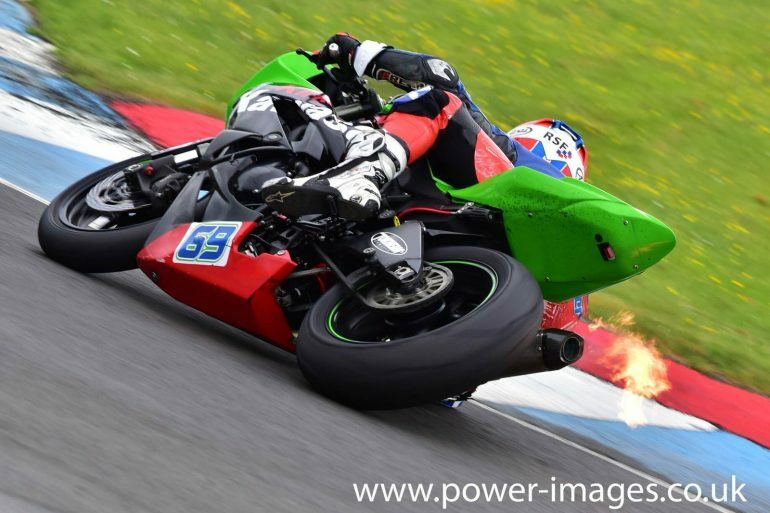 The 16-year-old Scot, from Perth, will debut at his local Knockhill circuit on the weekend of 6-8 July following several successful outings on the Kawasaki in Scottish championship races. “I’m really looking forward to getting out on the 600 and racing in front of my home fans,” said Rory. “Being part of the British Talent Cup is a great opportunity but with only six race weekends it is important to get some more meetings under my belt, especially as there are over two months to the next round. Although initially a one-off outing at Knockhill, Skinner may look at competing in additional races, as long as they do not conflict with his British Talent Cup commitments. The National Superstock 600 series is for riders aged 16-25 years-old and takes place alongside the Bennetts British Superbike Championship. The series draws trackside audiences in excess of 20,000 and is broadcast on the British Eurosport TV channel. Rory and his team are able to offer sponsorship opportunities at Knockhill that can deliver brand exposure and corporate hospitality options. Businesses or individuals interested in finding out more can email roryskinnerracing@gmail.com for more information.